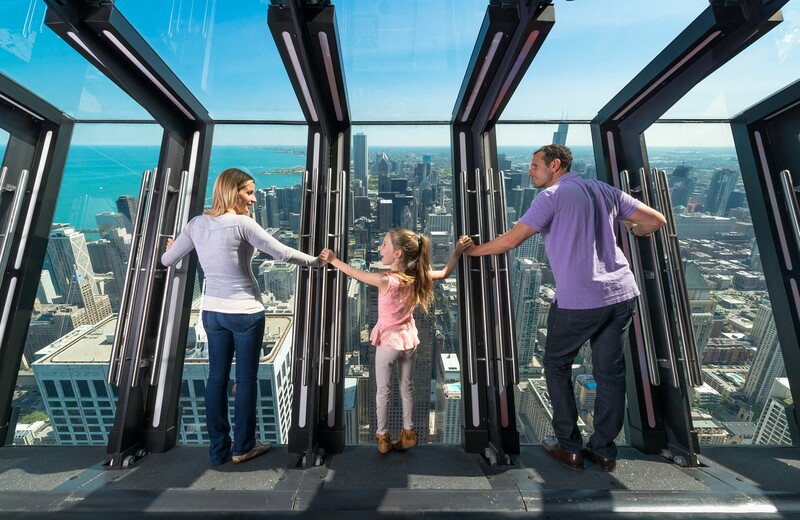 Windy City’s extraordinary observatory on the 94th floor of the historic John Hancock Center offers 360-degree views of the iconic Chicago, Illinois skyline and beyond. When the weather is clear, you can see up to 80 kilometers and all the way to four different states. Check out the newly opened TILT experience, which has you step up to a full-length window that slowly tilts from the building right out over the city at a 30-degree angle. Public Transport: CTA (Chicago Transit Authority) buses run along Michigan Avenue 24 hours a day. CTA Red Line train stop, located right on Chicago and State.